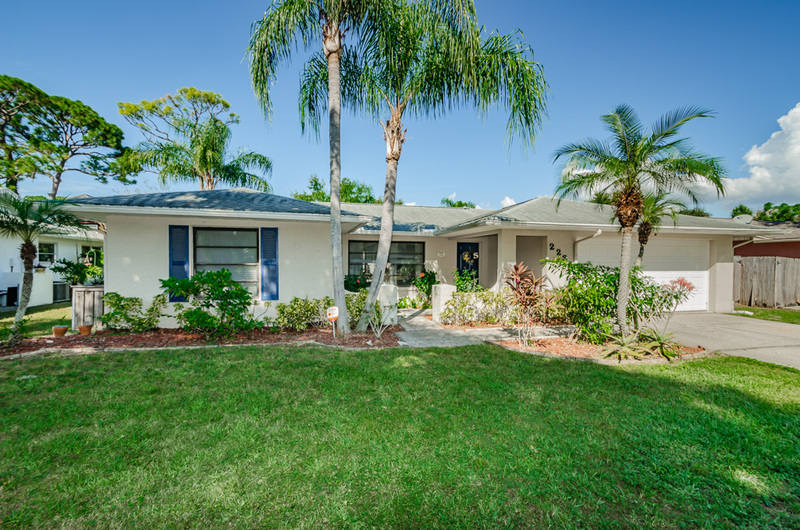 Come see this great home located in Dove Hollow, a well maintained community minutes to the beaches, Pinellas Trail, major medical facilities and retail stores. This spacious home offers a living room/dining combination with gorgeous views of the pool and separate in-ground heated spa! The open kitchen and dinette areas have tiled flooring and include stainless steel appliances, a large pantry and plenty of storage! The master bedroom overlooks the pool area and has a large walk in closet. The master bathroom offers double sinks with granite countertops, tiled flooring, and walk-in shower. The two guest bedrooms share a Jack-and-Jill style full bathroom with tiled floors and granite countertop. There is an additional third full bathroom for guests! Numerous updates to this great home include a newer hot water heater (approx 2 years old), AC and roof replaced (8 years old) and appliances (approx 5 years old).